apura Secured Technologies (Sapura Secured) is looking to further strengthen the export market after acquiring several overseas contracts. Its Group Chief Operating Officer, Datuk Mohd Zarif Hashim, said the company has started to market and export products to Morocco, United Arab Emirates, Timor Leste and other countries. 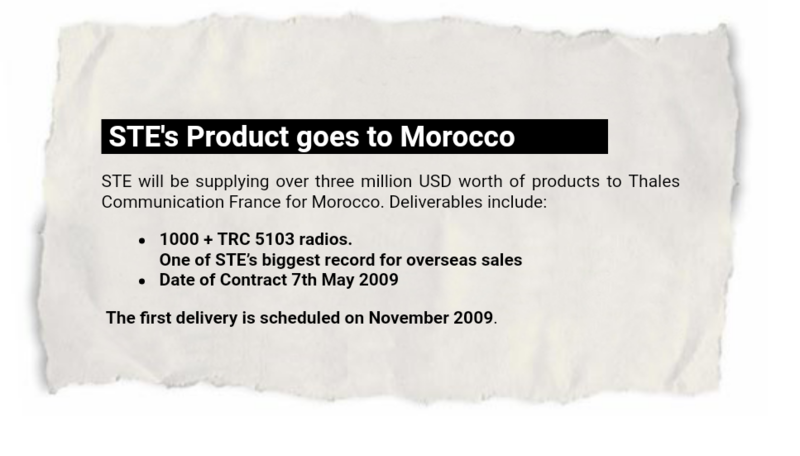 "Last year, the company exported some 3,500 radio units that were also our annual exports. For this year, the company is exploring the markets of North Africa, West Asia and the region. "Sapura has its own facilities to produce products for the export market and we hope to expand this year," he said at the Defense Services Asia 2018 (DSA 2018). Sapura fait partie de Thales ou en tout cas a un partenariat avec eux. 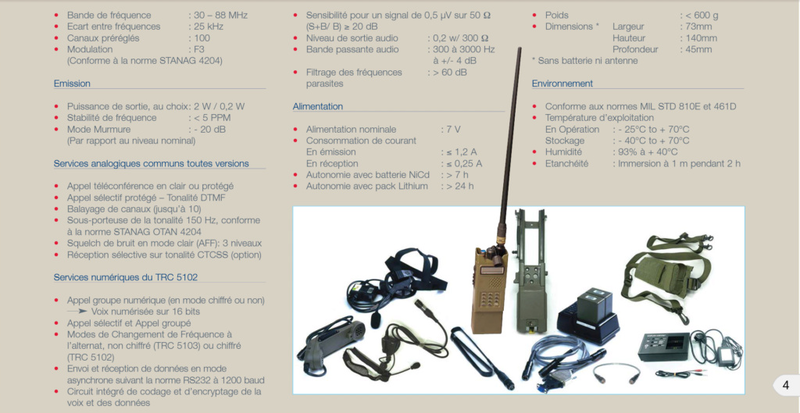 J'ai trouver un doc, il nous ont exporté en 2009 des radios TRC5103. Ton article parle de ce contrat visiblement. Des Pantsir au Maroc ? Site web de "DRS Network & Imaging Systems LLC, Huntsville, Alabama"
Il s'agit la d'une commande pour deux types de Casques,un gilet tactique portes plaques ( Outer Tactical Vest=OTV) et les plaques balisitiques SAPI,correct ? 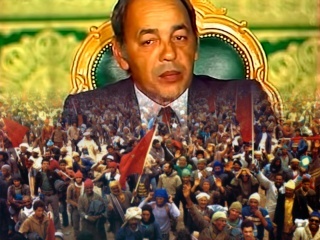 Y a ni 6 ni rien ..